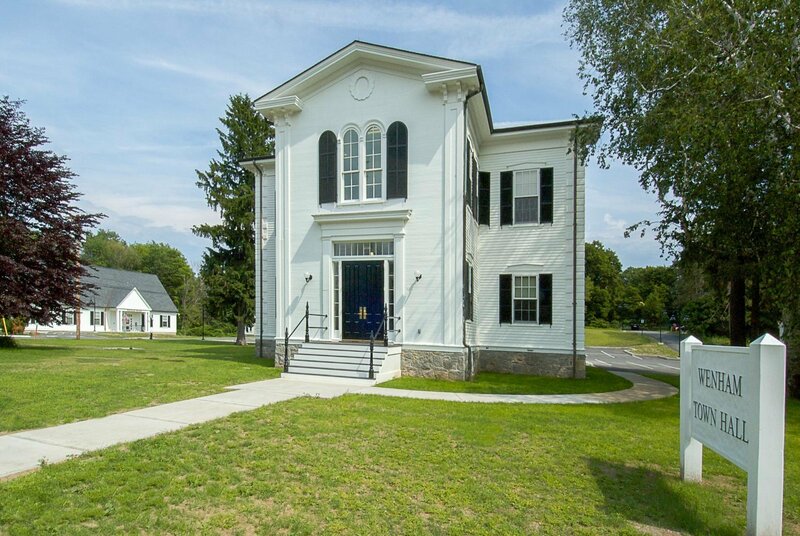 Situated on Wenham Common, Wenham Town Hall is a wood-framed structure built in 1842. Years of modifications to the building resulted in major structural and water infiltration issues. 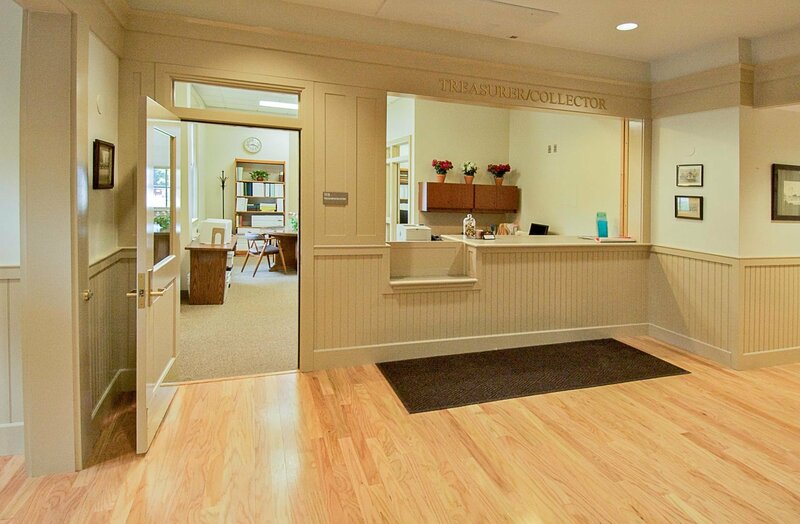 Johnson Roberts Associates addressed these issues as part of an overall renovation and restoration of the building. Based on photographic evidence, including historic postcards uncovered in our research, we restored the building to its original appearance and removed any historically inaccurate modifications. Similarly, the interior features historically appropriate wood detailing that complements modern municipal offices and meeting spaces. An addition provides accessibility at grade from the parking area as well as egress stairs and an elevator. To address the water infiltration issues, the renovation included excavation, parting, and coating of the foundation with a water-resistant mastic. New foundation drains and under-slab drains provide further remediation of water infiltration problems. Additionally, we repaired and reinforced the building to resolve the structural issues. 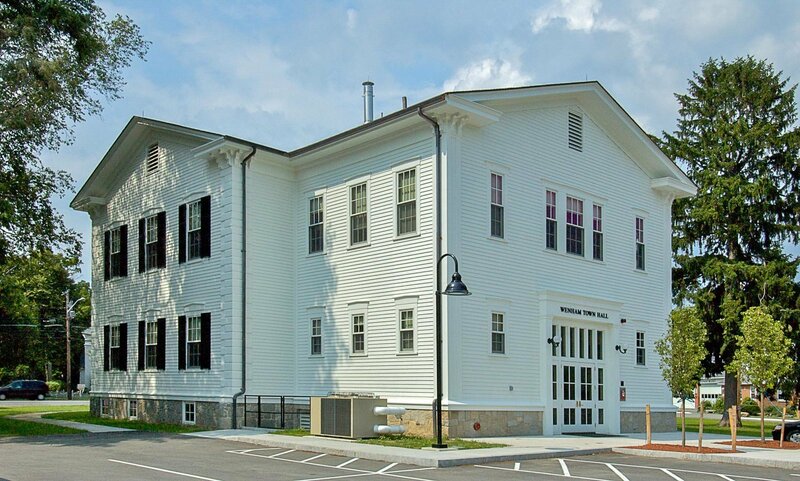 The new Wenham Police Station is on an adjacent site and provides 5,000 square feet of space.